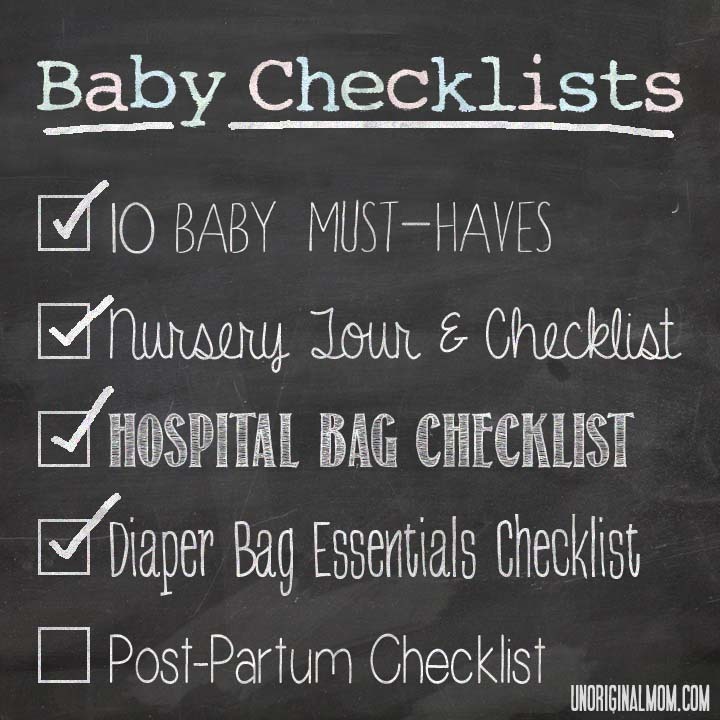 This is the fourth post in my baby checklist series – Diaper Bag Essentials Checklist! So, if you’re a little obsessive-compulsive about preparing (and perhaps over-preparing) for baby’s arrival…like I was…you’ll be packing your diaper bag the day after you get it at your baby shower. And there’s nothing wrong with that! But as a first time mom, I didn’t really know what else I should put in the diaper bag, besides diapers. Actually, to back up a little bit, I didn’t even know what kind of diaper bag I should register for! So I did a lot of reading reviews, reading message boards, and asking friends for their recommendations. Using all of those ideas, plus my own experiences from 9 months of being a mom, here is a checklist for you! Diaper bag. Obviously you know you need one. But what do you need? For a while, I was sucked into the world of $100+ diaper bags…watching the youtube video “tours” of them, looking at all the beautiful prints, thinking I really needed one of those ridiculously expensive bags to put my kids diapers in. Here’s a reality check – you don’t. If money is really no object to you, then by all means – buy a Petunia Pickle Bottom or a Ju Ju Bee or a brand name purse you can turn into a diaper bag. But for the rest of us – don’t waste your money! Find a bag that you like – remember, you’ll be carrying it around everywhere you go for a long time – but one that won’t break the bank. I compromised for a moderately priced one and I LOVE it! I have the Timi & Leslie Tag-a-Long Bag in the Felicity print. It’s the perfect size, very durable, and it’s cute, so I love carrying it around. You’ll have to decide what style of bag you prefer – messenger, backpack convertible, shoulder bag…there are many different styles out there. 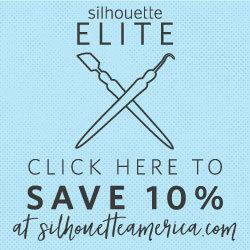 I’d recommend one with lots of compartments to help you keep organized. If you’ll be needing to transport bottles a lot, make sure there are insulated pockets. I especially like that mine has a zipper pocket that I use as my “mommy pocket” – read more about that below. Diapers and wipes. Duh. If you’re wondering what kind of diapers to buy, I liked Pampers Swaddlers diapers (always use a coupon and look for sales!). Now that my daughter is older and her skin isn’t as sensitive as it was when she was little, I’ve switched to Target Up & Up brand diapers. I also use Huggies Naturals wipes – I don’t like Pampers wipes, they’re too thin and soapy. The Huggies wipes are thicker and more substantial so you usually only have to use one. Here’s a fun tutorial on how to decorate your wipes case from Make It and Love It! Waterproof pads. Most diaper bags will come with a matching changing pad – if yours doesn’t, then get one to keep in your bag. I also keep an absorbant waterproof pad in my bag to put on top of the changing pad – that way, if we have an accident in the middle of a diaper change, it gets absorbed onto the pad and doesn’t get on her clothes. Burp Cloths. Several of them. I use these cloth diaper pre-fold inserts because they’re extra thick and absobant. Diaper Cream. I use Desitin. Plastic bags. You’ve gotta have a place for those dirty diapers to go when you’re on-the-go and not near a trash can. Or, a way to get home the dirty, poopy clothes after a poop explosion. (Trust me, it will happen. Many times.) Ziploc bags or even plastic grocery bags work great. I also found a box of little diaper disposal bags at the dollar store – 75 bags for $1. I just keep the whole box in the diaper bag. Baby Blanket. Good to wrap baby in if it’s cold, but also to put out on the floor and lay the baby down to play. I recommend these muslin swaddle blankets from Aden and Anais. Change of clothes. Murphy’s law – you’ll always need it when you forget to pack one. Nursing Cover. If you are breastfeeding, a nursing cover is a great way to modestly nurse in public. (Not necessary, but it’s up to you and your comfort level!) I have this one from Bebe Au Lait, I love it! Mommy stuff. I rarely carry a purse when I’m going out with just me and the baby. I use the zipper pouch in my diaper bag to hold my mommy stuff – chapstick, lotion, a compact, a few pens, etc. I also bought a Vera Bradley Carry-it-all Wristlet so I could carry my wallet, phone, and keys all in one. That way it’s easy to toss back and forth from the diaper bag to my purse…or take out of the diaper bag and carry by itself if I don’t need to take the whole bag into the store. Toys (eventually). You won’t need to pack toys in your diaper bag for a little while…but once your baby starts to need distraction or entertainment while out and about, toss a few small toys into the diaper bag. Small rattles, teething rings, or even a couple of Link-a-Doos are great by themselves – babies love to hold onto them and just shake them around. Or I’d use them to attach smaller toys to the shopping cart or stroller so they don’t fall to the ground. This baby “radio” was my daughters favorite toy for a long time – she was loved the music and it would always distract her if she was starting to get a little cranky. HERE is a free printable PDF of the checklist! Hope this was helpful for you as you are preparing for the arrival of your little one! 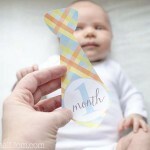 10 Baby Must Haves – the 10 baby items I found most useful that you might not have thought of or even heard about. 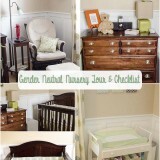 Nursery Tour & Checklist – a tour of our nursery along with items that are really helpful to have in the baby’s room. 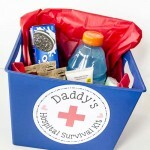 Hospital Bag Checklist – a list of necessities and helpful items to have in your hospital bag. 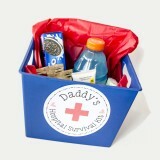 Don’t forget a bag for daddy and baby! 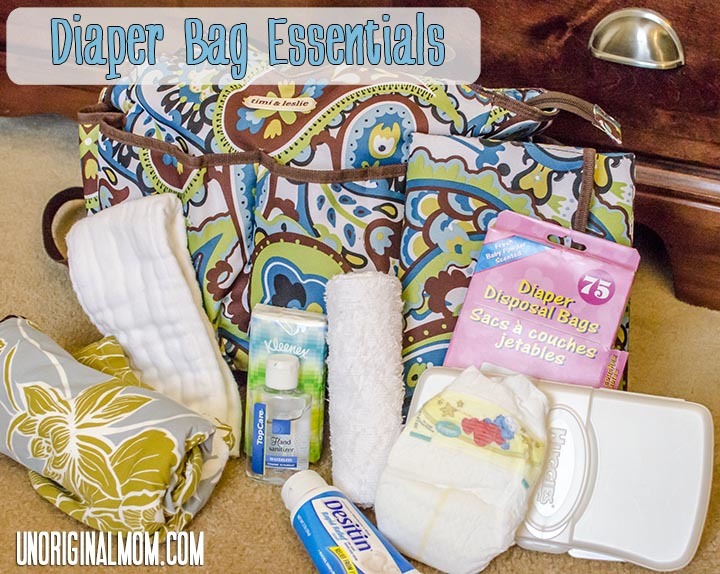 Diaper Bag Essentials Checklist – you’re here! Postpartum Checklist – the part you don’t want to think about or talk about…but there are some things that will help make you much more comfortable in those first few weeks after giving birth. 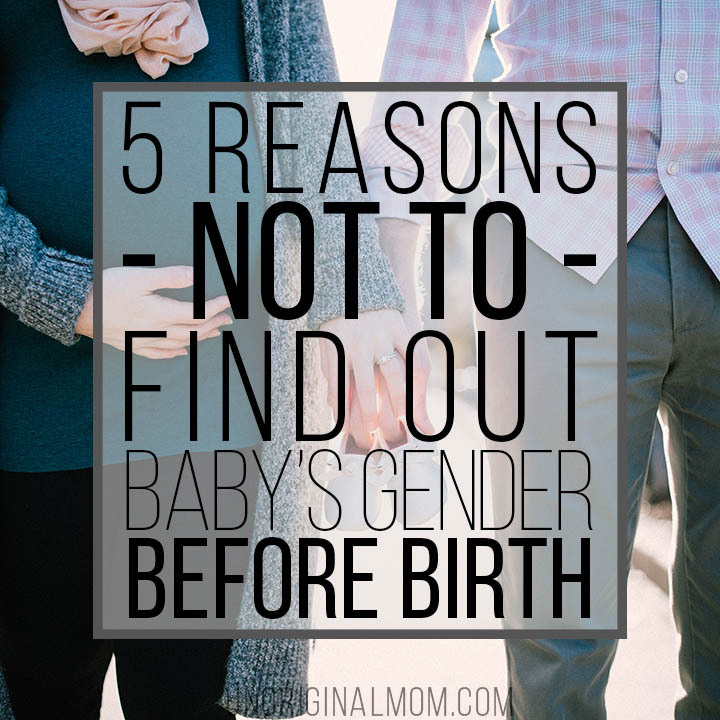 Are you an expectant mom, trying to decide if you want to find out the gender of your baby before birth? We didn’t find out with any of our kids and I wouldn’t have it any other way. 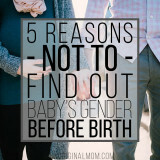 Here are 5 Reasons NOT to find out the gender of your baby. 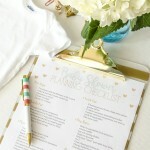 GRAB YOUR FREE BABY SHOWER PLANNING CHECKLIST! The perfect party is all in the preparation. 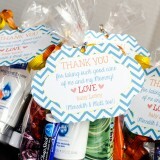 This complete baby shower planning checklist will help you with every step along the way! Success! Now check your email to confirm your subscription and grab your free checklist. 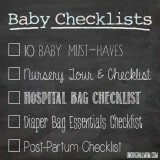 Love the list for the diaper bag items and that’s a super cute bag! I love this list, as you have described why we need each option. Thank you for sharing. I always include a clean t-shirt for myself with my baby’s clean change of clothes. You WILL get drooled/spit-up/pooped on. Target and Old Navy have nice thin tees that don’t take up hardly any room. If the dollar store is out of baby diaper disposal bags, check the pet section for doggie clean up bags. The bags are nearly identical, and include a scented option, for the same price (75 for $1). I keep things organized in separate bags. I particularly like those clear plastic zippered bags that our sheet sets came in – they’re a good size and you can see everything. This helps me take inventory when I’m running late. Baby and mom change of clothes – check. Diaper change stuff – check. Feeding stuff (bottles, nursing cover, snacks for mom) – check.